Ever have one of those days when you want to write, yet you’re not really sure what topic you want to write about. God hasn’t given you anything concrete to write, yet you still feel it stirring inside. No? Is it just me then? Possibly…. I tend to write a million blogs….in my head. Yet 1% of them actually make it here. I’m cautious as to what I write; more now than say 3 years ago when I started this blog. Why? Well….I’m not really 100% on that one. I want to always make sure I am authentic, and as transparent as possible. BUT….when I’m in a season of learning something new, I’m more cautious of what parts of this learning process I share with the “blog” world. I do not want to misrepresent the One whom I represent. Jesus Christ…God…aka my Papa….and I don’t want to act without the prompting of the Holy Spirit. I want to always know that what I write brings Him honor. Some way….some how. I’ve had a lot of wonderful things occur within my life these past few months. Actually some really HUGE things. And typically I would be all gabs about these blessings, but something inside says… “Nah….let’s just keep them between those of us who know” In the past this would be because of worry of what others might think. I had an unhealthy relationship that I allowed to cause me a lot of internal doubting. I would like to share some things I’ve learned over the last few months. First thing I learned is: when you’re fearful of something happening, and this keeps you from stepping forward….God tends to allow that “thing” to happen. Possibly to show you that the fear was a lie and you do survive…in fact when the hurt is over and you’re thankful it is not only over but that it occurred….you then begin to THRIVE!!! Second: Pruning is not only a natural part of growing, it’s a MUST. Pruning is a term used in gardening. Well God tends to prune things and people out of our lives that are stunting our growth in HIM! Do NOT stop Him, AND do not think that the things or people He is trying to prune from you aren’t going to be good things and good people. 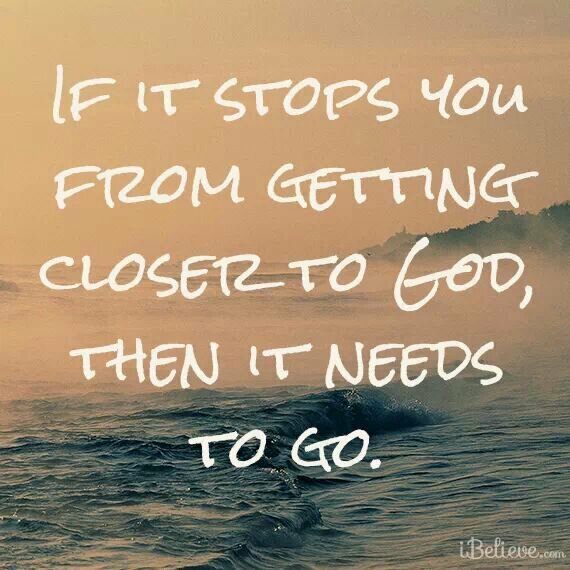 Some times we have to let go of the GOOD, in order to get GOD. Third: Dream Big! Ask God for MORE! MORE of His presence…. MORE Encounters with Him. MORE, MORE, MORE. Do NOT settle….do NOT limit what He is wanting to release into you and your life. ASK FOR MORE!!! Fourth: And this one is one that I have known since the get go (and I mean since my born again birthday). The Bible is absolutely TRUE, and it’s 100% for TODAY. Nothing in it is no longer available to us today. God KNEW who would be reading it when He had the men pen what He wanted. The Gifts of healing, casting out demons, speaking in tongues and so on those are ALL still available to US today. I know….but don’t take my word for it….ask God for yourself. Ask God to reveal Himself to you…..See I had faith like Gideon. So for the last 3 years I have repeatedly asked God to make the wool wet, dry, wet, dry, wet, dry…..you get the picture. And want to know something…..He has. Now I am able to hear Him more clearly and know by the 2nd or 3rd time that He is in fact speaking directly to me. Helping others hear the Voice of God has become a passion for me. I want others to truly understand what Jesus meant when He said in John 10:14 “I am the good shepherd; I know my sheep and my sheep know me” I have realized that what I thought was my purpose, giving children a voice…actually has been about helping His children hear His Voice. Oh….and last but not least I have learned that there are some amazingly sold out Christ lovers in this world….and God has brought so many into my life via Facebook. I am truly thankful! 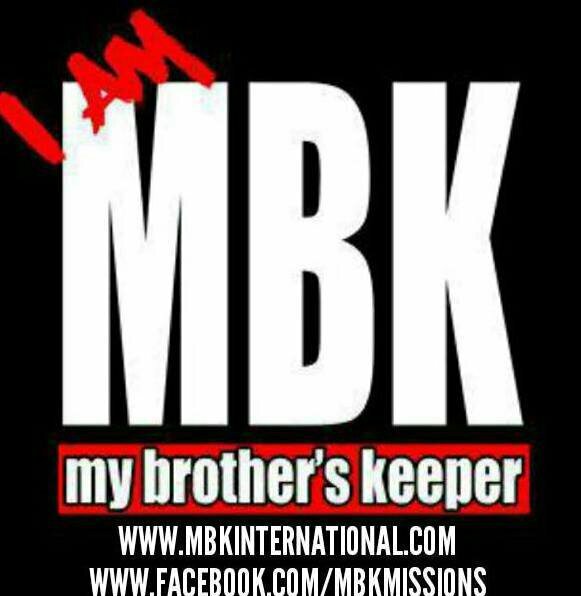 Love you my I AM MBK family! Her words, my heart, same Spirit! This has blessed me and my tattered heart. May her words heal you also. It’s not about me. It’s not about me. It’s not about me. I repeated the mantra in my head over and over again. I set it to a tune. I hummed it in my mind. But it still wasn’t sinking in. It felt like it was about me. In fact, it felt like I was under attack. Being falsely accused of something I didn’t do. It wasn’t about me. There was a larger story at play. The one of my family, especially my children, suffering the consequences of an argument that I didn’t start, and couldn’t seem to end. It had gone on for years, and my attempts to get anyone to even acknowledge my viewpoint, were futile. He was forced to restore what he did not steal. Accused of things he did not do. I love how this doesn’t specify who is at fault. To God, who is at fault is not the question. It is about making things right, regardless of who is at fault. It doesn’t mean that we are taking the blame, but instead, taking the initiative to live in peace with that person. I know—it seems impossible. But, as believers, we are called to a higher standard. Called to love others as we would like to be loved—not as we are loved. A much different thing. The truth is, there is an art to disagreeing. And, like most art, it’s not always easy to understand at first glance. The meaning, and the methods used, may not be clear in the beginning. The relationship with the other person is one that has lifelong potential, such as a family member, spouse, or long-time friend, and you value the relationship in spite of the disagreement. You have approached them in love, and been refused. You have tried to find a common ground, willing to give in, and been refused. When you approach the person who has offended you, there is a rehashing of what happened—as if it just happened—instead of a willingness to find resolution. The matter is affecting other people who were not part of the original disagreement. You avoid gatherings where the person might be. You have prayed about the situation and don’t feel the need to create a permanent boundary (you should not compromise in situations that involve physical or mental abuse of any kind). You feel certain that if you apologize, the matter will end. You can show regret for the feelings the other person has incurred as a result of the situation without taking blame for the situation itself. This assumes that you did not intend to hurt feelings, or that the original action was intended for good and had unforeseen consequences for which you were not responsible. When doing this, make sure that you apologize with no caveats. Instead of “I’m sorry if you were offended by something I said” (putting the reaction back on them), say something like “I’m sorry for the way I’ve treated you” (putting the responsibility on you). Don’t dwell on the truth. In many cases, the truth will lie between you, the offender, and God alone. In long standing disputes, the truth doesn’t matter as much as the separation it has caused. Don’t make excuses for the person who caused the offense. Instead, offer mercy, knowing that you are freeing yourself as much as you are freeing them. They don’t have to answer to you for their actions, but you do have to answer to God. Agree not to discuss it again. When both parties have been hurt, and an agreement of wrongdoing cannot be settled, it is best to let the situation go. In order to move forward, both parties need to agree that it is forgiven, and that it is best not to discuss it for the sake of the relationship. In long standing disagreements, it’s not really about who is right or wrong, but who is willing to listen to the other person, and show understanding toward them. Most people don’t want conflict between themselves and others, but pride keeps them from admitting wrongdoing. Often, the person who suffered the mistreatment will be the one who is forced to end the argument with no apology from the other side. Showing grace and mercy to another who has offended you is not only an incredible gift to that person, but a living testimony of how your Savior would treat you. And, that alone, sisters, is enough to break the silence. Her text messages contain 4 more texts worth of encouragement, but it was with those 4 words that my heart knew. My heart knew what I have in her is true. Pure love; from Love itself. Our friendship began before we ever even knew one another. The Holy Spirit began working in our lives months before the day came for us to latch on to one another. And I don’t use that word “latch” lightly. A child latches to it’s mother for survival, and I believe that’s what our Spirits did when they were intertwined. Our friendship couldn’t be explained. There was an over abundance of LOVE, PURE GODLY LOVE. When she needed a Word there it was on my mind and same with me. We lifted one another up and spoke words that God knew we needed, and we had no apprehension in speaking them. We sounded like lovers. At times I would go back and read our messages and think, how is this happening. But I knew…I knew that God was involved. 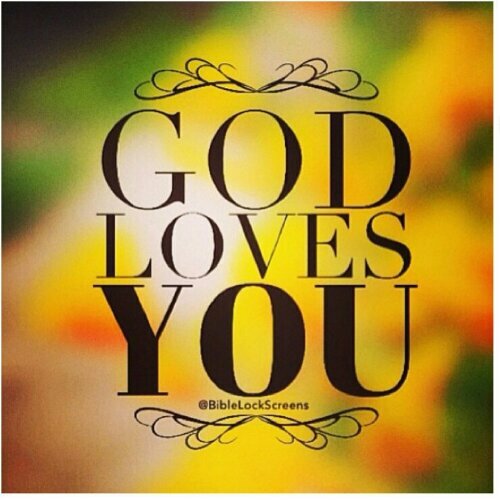 God had created us, and knew the love that He could pour out to each of us. He knew the love that we had in us needed to be given to someone, someone who needed it as much as we did. Three years ago my life I thought was over….as did she. Today I woke to a friend that loves me purely. One that I will carry with me for a lifetime. Thank you my sweet sister in Christ, thank you for loving God so wholly, your love leaks into my holes. I am eternally grateful that He gave me you! I pray you find a friend to love you in those moments when you can’t love yourself! The link below is the devotional that inspired the comment to those on my FB page…and the continued writing. Do you Gossip? I can tell you more of you do than you don’t…and its got to STOP! Whether you’re mad at someone or not God commands us NOT to speak evil against our neighbours. We are no longer in high school, its time to grow up and stop thinking we’re better than someone else bc we don’t sin the way they have. I’m sorry but NO ONE, including myself can throw stones at ANYONE— so value your friendships by refraining from gossiping about someone when they’re taking time out of their life to spend with you. Let’s get back to the Main Thing which is bringing those to the Cross!!! I love all of you….wish you loved me the same by keeping my ears and heart pure from the toxicity of gossip!!! Trust me I don’t need any extra help sinning, I do just fine on my own. Yesterday I wrote a post about gossiping, and as much as I stand behind what I wrote I feel as if I need to apologize to those of you who consider me a friend. See I am a writer, nothing professional, but still at heart I love to write. I don’t write about things that aren’t true, I write what my heart has either gone through or is currently going through. Typically I won’t or can’t write until there’s a mess load of situations that have basically overloaded in my head and I am in need of purging. I have plenty of journals and even more writings on my computers to attest to this. But every now and then I will get the perfect devotional to trigger everything I have been trying to find a way to say it without hurting anyone’s feelings. Only today I feared I may have hurt a friend who would think this was solely about them. So I have to apologize to all of my friends who have shared anything with me that makes you think I am talking only to you. I can assure you my personal experiences are small compared to what I see happening around me in the lives of Faithful Christian women. Just bc I’m not in your conversation doesn’t mean my ears aren’t listening. See here’s a secret that only you will know about me….I actually care deeply about not wanting to hurt my friends. Their trust in me, means a GREAT deal. I take great honor in someone being able to trust me with their deepest secrets or feelings. It’s that good ole saying “Treat others how you want to be treated” I believe if I can be the friend that I desire in someone, I will get that friend in return. There’s something that I have learned over the years though; having a friend that knows all your dirt leaves you feeling vunerable. Not many of us like to feel this way, myself included. Eventually over time if communication gets pulled back bc of insecure feelings ab this relationship, it’s only a matter of time before there is a disagreement that causes a major drift between the two of you. Let me just say from experience this time apart is not always a bad thing, it’s usually needed. What matters is how you spend your time thinking about this relationship. If you play the event over and over again (which for me is inevitible) you have to be careful not to maintain the anger or create more anger. Otherwise you could wind up losing someone very special, as well as creating a root of bitterness that can be very toxic to your happiness. Instead take sometime to detox from the situation. Once I can think ab the person without getting that anxious feeling within me that’s when I know I’m ready to do the hard part. Ask myself if they were right. Bet you thought I was going to say forgive them. Forgiving someone is hard, but I have found that it’s harder to forgive someone when I’m hell bent on being right. So I need to know first if they were right. I will always think I am right, and anyone I choose to tell what happened will nine times out of ten agree with me. I mean we all know that’s why we told them to begin with, right? Can I share another secret that I’ve realized over the years that helps with this self analyzation? You both have something to learn, change, and gain from this argument; and any other encounter you have with someone. We all have a purpose in this life, and we are all the star of our own lives. Therefore, nothing you do in life is wasted…unless you choose to waste it. Whether they were right or not doesn’t matter as much as that time you take exploring the possiblity. See I have found that we will all have a few profound relationships that stretch us to be more than we are. When you meet one of these people hold onto them with love and respect. Bc they are being used, just as much as you are in their lives, for a greater purpose. Even if the relationship ends painfully with betrayal or broken trust, at one point this person saw a part of you that made you love them, and they you. Honor THAT moment in your friendship, even when it ends. Bc it’s during those moments of pain when another person will out of no where come into your life, sometimes subtly without even knowing it they are picking up the pieces of your heart fumbling their way around trying to help mend it. How you speak about this past friendship will display a character trait about who you are as a friend. Now please do not get me wrong, there are times when most of us can hear someone speaking with a broken heart and can blow it off as pure emotions. But there does come a point ladies (and men if any of you are reading this) when these emotions become toxic and begin to taint your other relationships. This is why negative gossip about past friends or someone you hardley know causes so much damage….not so much to the person you’re talking about, but more to you. Without realizing it the constant talking about this situation or person, might cause the one listening to pull away. There are many reasons for this. They could simply be over hearing about the same old complaint or maybe they are fearful of investing in a friendship that could leave them on the other end of the coin. We all know that there has been a time when we’ve messed up in our friendships. Why then would someone want to chance messing up and being the one whose dirty laundry gets aired to anyone who will listen? Whether you are a Christian woman or not we all want to have good friends. The best way to get that is by always being a good friend, whether the relationship has ended or not.Ladies lets stop wasting time with yesterdays garbage and start living today for today. Let’s start pointing our fingers towards our own lives, thoughts, and hearts. Let’s be the friend we want to have…even when the friendship has ended. .